PYONGYANG, North Korea - Even as the world changed around him, North Korean leader Kim Jong Il remained firmly in control, ruling absolutely at home and keeping the rest of the world on edge through a nuclear weapons program. In South Korea, however, like much of the rest of the world, the news provoked concern. Hatton reports that South Korea put its military on high alert Monday, even calling off-duty troops back to work in the event of any provocations from the North. South Korea's Yonhap news agency reported later Monday that the North had conducted at least one short-range missile test. Two South Korean military officials said they couldn't immediately confirm the report, saying to do so would breach a policy of not commenting on intelligence matters. Both said any firing would be part of a routine drill and have little relation to Kim's death. They both spoke on condition of anonymity, citing policy. Yonhap cited unidentified government and military officials as saying the test occurred off the east coast. Kim, who reputedly had a taste for cigars, cognac and gourmet cuisine, is believed to have suffered a stroke in 2008 but he had appeared relatively vigorous in photos and video from recent trips to China and Russia and in numerous trips around the country documented by state media. Kim Jong Il, who took power after the death of his father, unveiled his third son as his successor in September 2010, putting the twenty-something Kim Jong Un in high-ranking posts. On Monday, the North Korean news agency dubbed the son a "great successor" as the country rallied around him. Few firm facts are available when it comes to North Korea, and not much is clear about Kim Jong Il, the man known as the "Dear Leader." North Korean legend has it that Kim was born on Mount Paektu, one of Korea's most cherished sites, in 1942, a birth heralded in the heavens by a pair of rainbows and a brilliant new star. Soviet records, however, indicate he was born in Siberia in 1941. His father, Kim Il Sung, is the still-revered founder of North Korea. The elder Kim fought for independence from Korea's colonial ruler, Japan, from a base in Russia for years. He returned to Korea in 1945, emerging as a communist leader and becoming North Korea's first leader in 1948. Kim Jong Il, a graduate of Pyongyang's Kim Il Sung University, was 33 when his father anointed him his eventual successor. Even before he took over, there were signs the younger Kim would maintain  and perhaps exceed  his father's hard-line stance. When Kim came to power in 1994, he had been groomed for 20 years to become leader. He eventually took the posts of chairman of the National Defense Commission, commander of the Korean People's Army and head of the ruling Worker's Party. His father remained as North Korea's "eternal president." He continued his father's policy of "military first," devoting much of the country's scarce resources to its troops  even as his people suffered from a prolonged famine  and built the world's fifth-largest military. Kim also sought to build up the country's nuclear arms arsenal, leading to North Korea's first nuclear test, an underground blast conducted in October 2006. Another test came in 2009, prompting U.N. sanctions. Kim often blamed the U.S. for his country's troubles and his regime routinely derides Washington-allied South Korea as a puppet of the Western superpower. Former U.S. President George W. Bush described Kim as a tyrant. "Look, Kim Jong Il is a dangerous person. He's a man who starves his people. He's got huge concentration camps. And ... there is concern about his capacity to deliver a nuclear weapon," Bush said in 2005. He also made numerous trips to factories and other sites to offer what North Korea calls "field guidance." As recently as last week, the North's news agency reported on trips to a supermarket and a music and dance center. The world's best glimpse of the man came in 2000, when a liberal South Korean government's conciliatory "sunshine" policy toward the North culminated in the first-ever summit between the two Koreas. A second summit was held in 2007 with then South Korean President Roh Moo-hyun. One account of Kim's lavish lifestyle came from Konstantin Pulikovsky, a former Russian presidential envoy who wrote the book "The Orient Express" about Kim's train trip through Russia in July and August 2001. Pulikovsky, who accompanied the North Korean leader, said Kim's 16-car private train was stocked with crates of French wine. Live lobsters were delivered in advance to stations. A Japanese cook later claimed he was Kim's personal sushi chef for a decade, writing that Kim had a wine cellar stocked with 10,000 bottles, and that, besides sushi, Kim ate shark's fin soup  a rare delicacy  weekly. 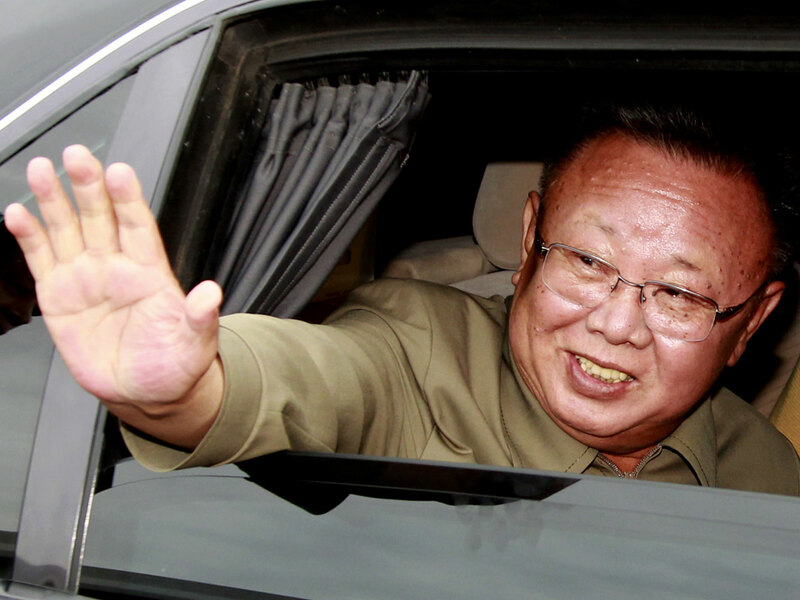 Kim is believed to have curbed his indulgent ways in recent years and looked slimmer in more recent video footage aired by North Korea's state-run broadcaster. Kim's marital status wasn't clear but he is believed to have married once and had at least three other companions. He had at least three sons with two women, as well as a daughter by a third. His eldest son, Kim Jong Nam, who is about 40, is believed to have fallen out of favor with his father after he was caught trying to enter Japan on a fake passport in 2001 saying he wanted to visit Disney's Tokyo resort.